Great gift for all occasions, this wine gift will with no doubt be very much appreciated. Delicate pastries and truffles are rounded off to perfection with a tasty Spanish wine. The perfect gift to ship for any occasion. Personalize it! 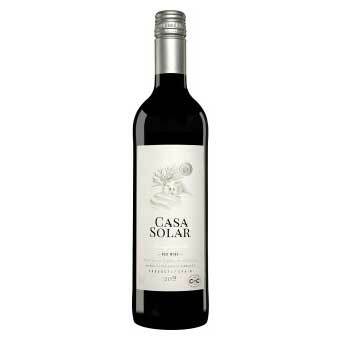 The Casa Solar wine gift is perfect for all occasions as we have carefully selected only the best to be added to this premium quality gift box with a black linen finish. 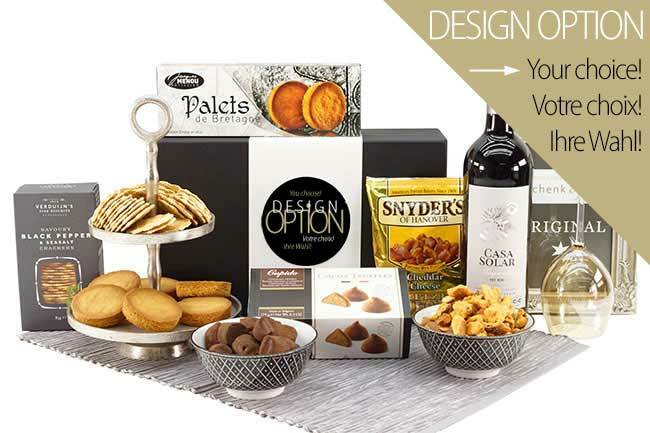 The recipient will find the Casa Solar Tempranillo tinto Barrica 3 from Spain along with Belgian chocolate truffles, Snyders cheddar cheese bretzels, pepper crackers and French Breton Galettes. This is a fantastic personalized gift box suitable for all occasions. We are able to ship to most European countries including Germany, Austria, United Kingdom, France and Spain – amongst others. Chocolates will be replaced with another product but of higher value in Summer or when weather in Europe is warm. Chocolate truffles will be replaced with soft nougat during warm weather and in Summer. Choose your perfect gift box outfit for your gift! 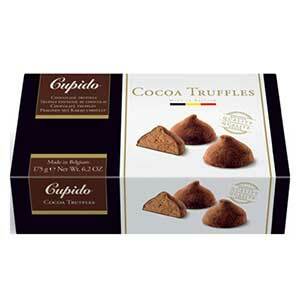 Very nice milk chocolate truffles, creme filling and covered with cocoa. You will love them! 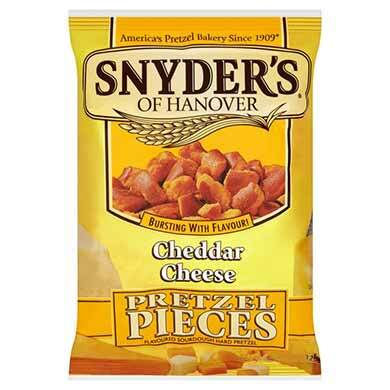 Crispy crackers flavored with pepper and sea salt, according to Dutch tradition baked in a waffle iron. 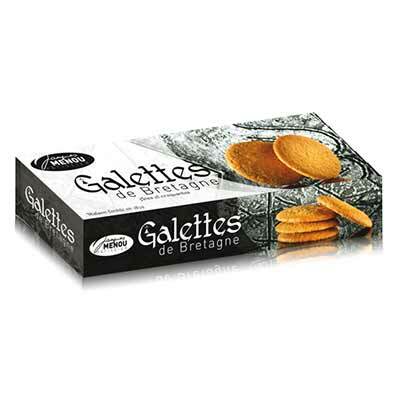 These crispy crackers are a delicious companion to wine and work excellent as canapes. Taste this flavor variant of cheese and salad with a glass of red wine. Wine from Spain plus delicate pastries and truffles are a great gift for delivery to France, Denmark, Germany, Austria and all over Europe and the UK.